Since the outbreak of the Arab intifadas or “awakening”, the jihadist shura has been working on laying the ground for Islamist-jihadist ascent in the Middle East. Extensive organizational, financial, and security support has been provided to the various Islamist-jihadist entities throughout the Middle East by teams of highly-trained jihadist operatives called “the Son of the Soil/Land” (Ibn ul-Balad) which operate within non-state regional and heritage frames of reference. As well, special and terrorist operations have been conducted jointly by teams of the revitalized “Shadow Army” (Laskhar al-Zil) which had been trained in Afghanistan-Pakistan and Chechnya, and élite jihadist networks of the various localized “al-Qaidat Jihad” (the Foundation of Jihad) movements throughout the region which are also organized along heritage lines since the middle of the first decade of the 21st Century. The outcome of this effort is now apparent in the growing presence and influence of foreign volunteers in Bilad al-Sham and al-Jazira (Syria-Iraq), the Sinai Peninsula, and Libya-Egypt. The dramatic transformation of the Sunni jihadist trend has influenced the realignment of the Turkish-Iranian grand strategy. Since the original outbreak of the Arab intifadas back in late 2010, both Ankara and Teheran have been torn by conflicting vital interests. Both powers have always had a common end objective: to suppress the possible ascent of traditional Sunni Arabism hailing from Bilad al-Sham and al-Jazira. However, they have differed on the regional posture that would contain this ascent of Arabism. Ankara has been determined to expand its regional hegemony to the detriment of the traditional power system originating from the Arabian Peninsula by establishing a north-south Sunni Wedge which would absorb the House of al-Sa’ud. Teheran has been loath to give up on its east-west Shi’ite Crescent with Lebanon’s HizbAllah and Iraq’s Shi’ite Government which gives Iran access to the shores of the Mediterranean. Presently, the common denominator of both powers remains the determination to quickly dominate the Sunni heartland between central Syria and western Iraq. At the same time, the fierce Iranian-Turkish competition on implementation and supremacy remains the key to the escalating fratricidal war in Syria. This is why the ascent of DI’ISH (aka The Islamic State of Iraq and Levant or al-Sham, or ISIL, or ISIS) and its Emirate of the Euphrates Valley is so problematic for both Ankara and Teheran. The conflict became vicious and vindictive in late-February 2014 after the assassination in Aleppo of Abu-Khaled al-Suri, Zawahiri’s personal emissary to Bilad al-Sham and Abu-Musab al-Suri’s closest friend. The assassination not only resulted in escalation of the fighting between jihadist forces in northern and central Syria, but also started a profound theological debate about whether the jihadist movement should uncompromisingly confront all apostates and Shi’ites, or cooperate with some of them in the expedient pursuit of such higher goals as the establishing an Islamist Caliphate in the greater Middle East. In mid-April 2014, DI’ISH escalated the dispute with a major symbolic step of great significance. Nine prominent Al Qaida emirs from the Middle East, Afghanistan, Turkmenistan, and Iran declared their allegiance to the new “Emir of the Faithful” Abu Bakr al-Baghdadi al-Qurashi, the emir of DI’ISH. The nine are Sheikh Abu Ubaidah al-Lubnani, Abu al-Muhannad al-Urduni, Abu Jurair al-Shamali, Abu al-Huda al-Soudani, Abdulaziz al-Maqdisi (brother of Sheikh Abu Muhammad al-Maqdisi), Abdullah al-Punjabi, Abu Yunus al-Kurdi, Abu Aisha al-Qurtubi, and Abu Musab al-Tadamuni. Simply put, the emirs accepted “the Khorasan Pledge” over their bayat (secret oath of allegiance) to Zawahiri and Mullah Omar. The nine emirs published a lengthy theological thesis in which they explained the urgent imperative to adopt “the Khorasan Pledge” in the context of the history of the jihadist struggle in the Middle East and beyond. 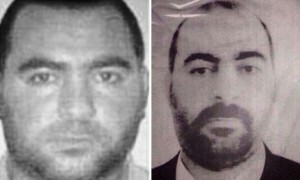 They analyzed the dispute over the takfiri quintessence of the jihad and especially the dispute between Abu-Musab al-Zarqawi and Zawahiri over the jihad in Iraq in the first decade of the 21st Century. This theological dispute is even more prevalent in the current war in Bilad al-Sham “where it was the duty of DI’ISH to reach out and provide support for its people, to defeat the conspiracy of the two armies: the Syrian Army and the Free [Syrian] Army”. Believing in the inevitable triumph of the jihadist forces, the nine emirs explained, “the forces of infidelity and apostasy quickly sowed the seeds of hypocrisy, using new groups under Islamic sounding names to be a rival and an obstacle to the Islamic State”. The emirs allude to the Al Qaida affiliates which were guided by Abu-Musab al-Suri into secret cooperation with the Quds Forces in order to sustain their jihad. They refused to accept the excuses of Al Qaida leaders that “the groups did not have any courage to enforce judgments over those who disobey sharia, under the pretext of avoiding a clash with the people or due to their inability and incapacity, although they enforced in secret more than they did out in the open”. It was, the emirs believed, because of this deviation from the right and righteous path that the Islamists lost power in Egypt. Although the theological campaign surrounding the “Khorasan Pledge” glosses over the specific issue of Sunni-jihadist cooperation with Shi’ite Iran, it is very explicit about the viciousness of the ensuing fratricidal fighting. DI’ISH holds the establishment jihadist trend responsible for starting the destruction of Bilad al-Sham, Iraq and northern al-Jazira on the altar of relations with Iran. Abu Ali al-Anbari, a DI’ISH senior commander from Iraq now fighting in Syria was very explicit about the intensity of the fight against Al Qaida-affiliate forces. “Either we eliminate them or they will eliminate us,” he repeatedly told a commanders’ gathering. Both the DI’ISH commanders and senior emirs joining the “Khorasan Pledge” were cognizant that the schism which erupted in al-Jazira would spread and might ultimately split the entire jihadist trend on the basis of takfiri orthodoxy. The takfiri schism emanating from Bilad al-Sham and Iraq is already exacerbating and intensifying the myriad of conflicts plaguing the rest of the Middle East. Saudi Arabia is a major victim of the escalating takfiri schism and the crisis is aggravated by the deterioration of King ‘Abdallah bin ‘Abd al-’Aziz al Sa’ud’s health and unresolved succession process. In principle, the takfiri DI’ISH should have been the guardian and protégé of Riyadh because of its uncompromising anti-Shi’a and anti-Iran posture. However, DI’ISH also undermines the preeminence of the tribal power structure in al-Jazira and thus harms the Shamari nation: the bulwark of support for the Nagdi (Nejdi) tribes of central Saudi Arabia who are the main supporters of the ‘Abdallah faction of the House of Al-Sa’ud and provide loyal recruits for the Saudi National Guard. In the western part of Bilad al-Sham, the long-established coalition of minorities (‘Alawites, Druze, Maronites, etc.) which dominates security and the economic élite (urban Sunni Arabs, Armenians, etc.) continues to consolidate its hold over the viable areas of pre-war Syria and Lebanon. While strategic fighting is drawing to an end, a lot of mopping-up is yet to be completed and jihadist terrorism should be expected to continue for a long time. Only then could the massive task of rebuilding the country begin. However, the triumph of President Bashar Assad’s Damascus is now irreversible, irrespective of the extent of growing Turkish and Qatari intervention and even possible U.S.-led Western military intervention. The inner-Sunni vicious fighting over takfiri orthodoxy versus cooperation with Quds Forces effectively self-neutralizes the Sunni jihadist forces in the greater Aleppo area: the war’s last main front. Meanwhile, the Sunni Arab grassroots’ rush into Assad’s fold, seeking protection against the carnage wrought by the DI’ISH-al-Qaida fratricidal fighting. Presently, the alliance between Damascus and Tehran on sustaining the Shi’ite Crescent — the onland access to the Mediterranean — contains the Hizbullah’s provocation of Israel, restrains the Shi’ites political ascent in Lebanon, and provides military sustenance against Sunni onslaught. In the north, the de facto unified Kurdish entity is now projecting power into both Turkey (through the revival of PKK insurgency) and north-central ex-Iraq. In late-April 2014, Kurdistan Region President Massoud Barzani signed a secret document affirming that “confederation will resolve our [all-Kurdish] issues”. The document outlined a program legalizing and organizing the gradual integration of other Kurdish entities into an Erbil-led political entity. Erbil thus provides the framework for other Kurdish zones — starting with Turkey’s — to secede and join Erbil. Along the Euphrates Valley from Aleppo to Baghdad, the DI’ISH emirate increases pressure on Baghdad. To withstand the onslaught, Shi’ite-Arab Mesopotamia is increasingly beholden to the leadership from Najaf and Qarbala which facilitates the growing flow of recruits and funds to sustain Baghdad’s war effort. However, Baghdad is incapable of ignoring the dominance of both Tehran and Qom (the enduring legacy of the Sistani-Ha’eri agreement of August 2004 over the control of Najaf’s Great Mosques which was orchestrated by the Sadrists and enthusiastically embraced by the U.S. to the detriment of the future of the greater Middle East). Shi’ite Baghdad is desperately trying to stem the tide and contain DI’ISH and the Sunni-Arab awakening in Al-Jazira but has so far failed. The increasingly sectarian character of the battle for Baghdad and the vitriolic Shi’ite propaganda accompanying it send the Sunni populace into the fold of DI’ISH and away from the Al Qaida affiliates. Further south, Saudi Arabia and the Gulf Cooperation Council (GCC) are increasingly vulnerable to the Shi’ite ascent in the eastern Arabian Peninsula as reflected in the growing instability in Bahrain. Both Tehran and its regional protégés operating under the umbrella of the Islamic State of Eastern Arabia are emboldened by the U.S. abandonment of Riyadh and all other Gulf States. They are convinced they can escalate their insurrection from Kuwait to Yemen’s Houthis with confidence that there will be no U.S.-led retribution. In eastern Arabia, Riyadh is increasingly beholden to the Saudi Ikhwan (a different local militant movement that has nothing to do with the Egyptian Ikhwan and is akin to the Russian Cossacks on the fault lines of the North Caucasus) to fight and contain the local Shi’ite insurrection. However, the Saudi Ikhwan is a takfiri creed whose worldview is very similar to that of the DI’ISH. It is therefore only a question of time before their leaders will gravitate toward the “Khorasan Pledge” despite the DI’ISH’s clash with the Shamari and Nagdi tribes. The overall stability and unity of Saudi Arabia will then be challenged. Meanwhile, Doha keeps double-dealing in its quest for regional preeminence. Qatar is tacitly acting on behalf of Iran throughout the region for strategic and financial gains. On the one hand, Qatar is Turkey’s closest ally in the campaign to sponsor and unleash the Al Qaida-affiliated forces in Syria and Iraq in order to contain both Shi’ite Iran and the takfiri Sunnis and instead further the north-south Sunni Wedge which seems likely to ultimately undermine the House of al-Sa’ud. Then, Doha seems convinced, it would be able to share hegemony with Tehran over the rest of the GCC and the Arab world as a whole. Iran appears convinced that the aggregate outcome of the triumph of Assad’s Damascus and the fratricidal carnage of the DI’ISH-Al Qaida fighting would prevent Turkey from ever consolidating a north-south Sunni Wedge which could challenge the preeminence of Iran’s east-west Shi’ite Crescent. Hence, while Qatar’s renewed audacious ascent has been instrumental for the furthering and sponsorship of a wide myriad of Al Qaida-affiliated jihadist forces all over the Greater Middle East which undermine all pro-Western forces and governments, at the end Qatar seems likely to remain beholden to Iranian backing against Saudi Arabia and the GCC. And then there are sub-plots and struggles in Egypt, between the Hamas and the Palestinian Authority (PA), in both southern and northern Jordan, which could be affected by the takfiri surge and the Iranian exploitation thereof. Spring and early Summer will not be boring.